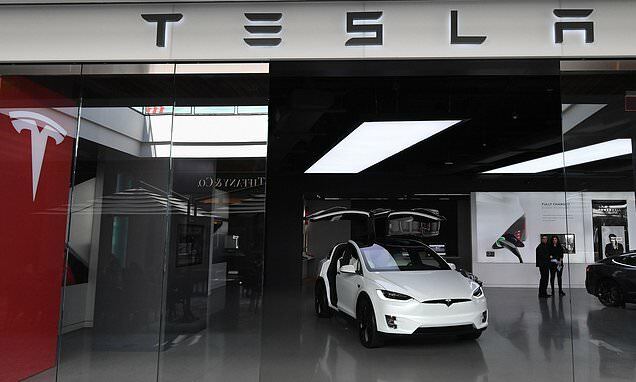 Electric carmaker Tesla has performed a U-turn on proposed store closures by announcing it will raise prices of its high-end vehicles by around three per cent on average in an effort to retain more dealerships around the world. Tesla said the worldwide price hikes will apply to the more expensive variants of Model 3, Model S and Model X. However, there will be no price hike for the cheapest Model 3, which is its cheapest vehicle with a starting price of $35,000 in the US, around £26,400 in the UK - although prices for Britain are yet to be confirmed. In a statement on Sunday, the car maker said potential buyers can place orders until March 18 at the old prices. The move comes after Tesla said last month it was shifting all sales online to help lower prices by about six per cent on average, allowing it to achieve the relatively low starting fee for the entry-spec Model 3. It also made alterations to the specifications of existing models and the range abilities of the highest-priced versions, sending prices tumbling. It confirmed that its naming structure - previously based on the battery pack fitted, rising from 75D, 100D and P100D - would shift to Standard Range, Long Range and Ludicrous Performance. As a result, the range-topping Model S P100D, which had a UK price of £131,305, will become the Ludicrous Performance and cost just £83,300 - a monumental saving of £48,005. This left many existing customers furious, having already bought a Model S or X at a significantly higher cost. It even resulted in owner protests outside stores in Asia. Justin Hammond, who bought a Model S 75D just eight week prior to the cost reductions branded the move as 'terrible' and said he no longer trusted the brand.